A sprawling metropolis and home to millions of Ethiopians, Addis Ababa houses many international organizations, embassies, and commissions, making it a diplomatic, political, and economic hub of the country. Deepen your sense of the past at sights like Holy Trinity Cathedral and Arada Giyorgis. 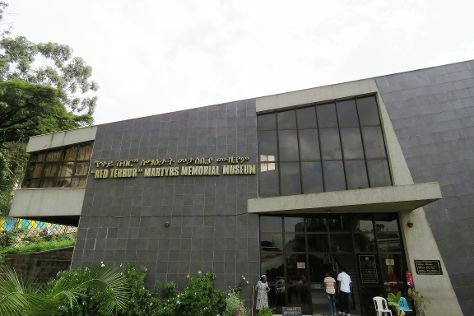 You'll explore and learn at National Museum of Ethiopia and Red Terror Martyrs Memorial Museum. There's lots more to do: see the interesting displays at Ethnological Museum, pause for some serene contemplation at Entoto Maryam Church, take in the dramatic natural features at Entoto Hill, and take in the local highlights with Walking tours. For traveler tips, other places to visit, reviews, and tourist information, read our Addis Ababa road trip planner . The Route module can give you travel options from your home to Addis Ababa. In February in Addis Ababa, expect temperatures between 28°C during the day and 13°C at night. 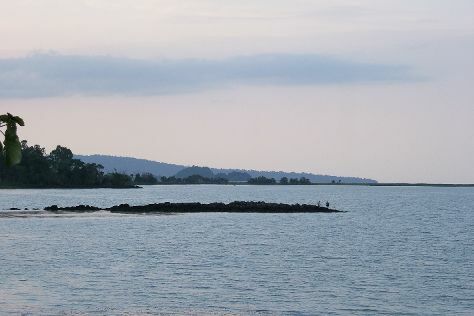 Wrap up your sightseeing on the 9th (Sat) to allow time to travel to Bahir Dar. Palm trees and tropical gardens line the spacious avenues of Bahar Dar, a town nestled on the southern shore of the vast, glistening Lake Tana. Kick off your visit on the 10th (Sun): examine the collection at Church of Debre Sina Maryam and then contemplate the waterfront views at Lake Tana. Keep things going the next day: take in the spiritual surroundings of Azwa Mariam Monastery, then stop by Ura Kidane Mihret, and then admire the sheer force of Blue Nile Falls. To see ratings, more things to do, other places to visit, and more tourist information, read our Bahir Dar trip planner. You can fly from Addis Ababa to Bahir Dar in 1.5 hours. Other options are to drive; or take a bus. In February, daytime highs in Bahir Dar are 30°C, while nighttime lows are 15°C. Cap off your sightseeing on the 11th (Mon) early enough to go by car to Gonder. A former royal city, Gonder once served as the Ethiopian Empire's capital--it still boasts well-preserved remains of 17th-century castles and palaces that shed light on the opulent lifestyle of the bygone times. Kick off your visit on the 12th (Tue): get some fabulous bargains at Ploughshare Women Crafts Training Centre, contemplate the long history of Kuskuam Church, then explore the historical opulence of Fasil Ghebbi, then take in the architecture and atmosphere at Debre Berhan Selassie Church, and finally take in the spiritual surroundings of Fasiladas Bath Timket. To see ratings, maps, and other tourist information, read Gonder trip app . You can drive from Bahir Dar to Gonder in 3 hours. Alternatively, you can do a combination of ferry and car. Traveling from Bahir Dar in February, plan for somewhat warmer nights in Gonder, with lows around 19°C. Finish your sightseeing early on the 12th (Tue) to allow enough time to travel to Lalibela. Tourism in Lalibela, a small town nestled in Ethiopia's Lasta Mountains, prospers due to its fascinating cluster of rock-carved churches, dating back to the 12th century and boasting the status of a World Heritage Site. Start off your visit on the 13th (Wed): steep yourself in history at Church of St. George, take in the exciting artwork at The Fine Art Gallery, and then explore the ancient world of Rock-Hewn Churches of Lalibela. On the 14th (Thu), you'll have a packed day of sightseeing: take in the architecture and atmosphere at Asheton Maryam Monastery, then contemplate in the serene atmosphere at Monastery of Na’akuto La’ab, then explore the ancient world of Tomb of Adam, and finally don't miss a visit to Yemrehanna Kristos. For other places to visit, maps, photos, and other tourist information, use the Lalibela trip app . Traveling by combination of flight and car from Gonder to Lalibela takes 1.5 hours. Alternatively, you can drive. 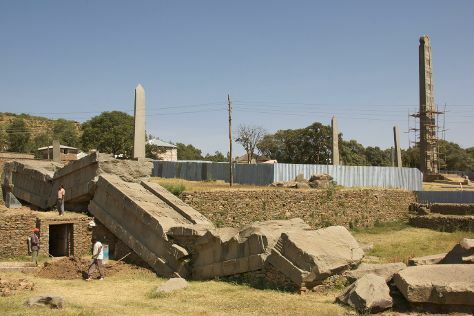 Finish up your sightseeing early on the 14th (Thu) so you can travel to Axum. Axum or Aksum is a city in the northern part of Ethiopia. Kick off your visit on the 15th (Fri): delve into the distant past at Queen of Sheba Palace, don't miss a visit to King Ezana's inscription, then explore the historical opulence of Chapel of the Tablet, then explore the ancient world of The Ruins of Aksum, and finally contemplate in the serene atmosphere at New Church of St. Mary of Zion. Keep things going the next day: don't miss a visit to King Bazen's Tomb, pause for some serene contemplation at Arabtu Ensessa Church, then take in the spiritual surroundings of Northern Stelae Field, then explore the activities along Queen of Sheba's Bath, and finally don't miss a visit to Tombs of Kings Kaleb and Gebre Meskal. For reviews, maps, where to stay, and other tourist information, read our Axum day trip site . You can do a combination of car and flight from Lalibela to Axum in 1.5 hours. Alternatively, you can drive. Wrap up your sightseeing on the 16th (Sat) early enough to travel back home.